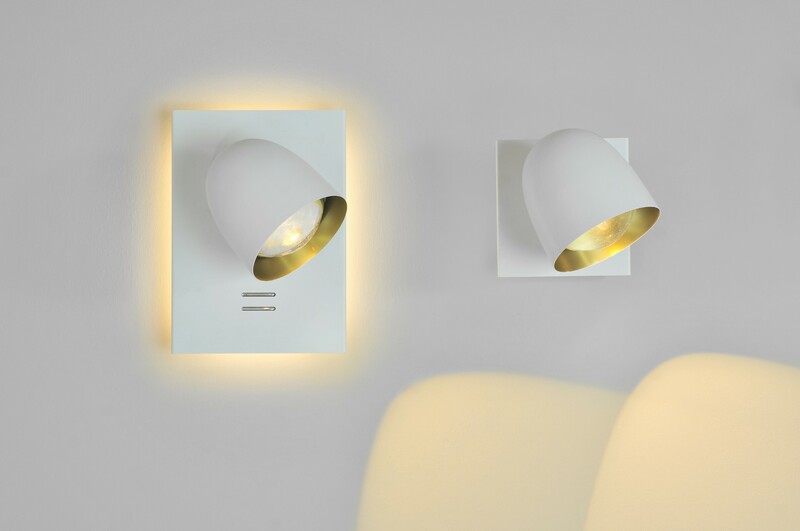 The great commercial success of the Speers suspension lamps has led the manufacturer, B.lux, to expand its collection to include wall and floor versions. 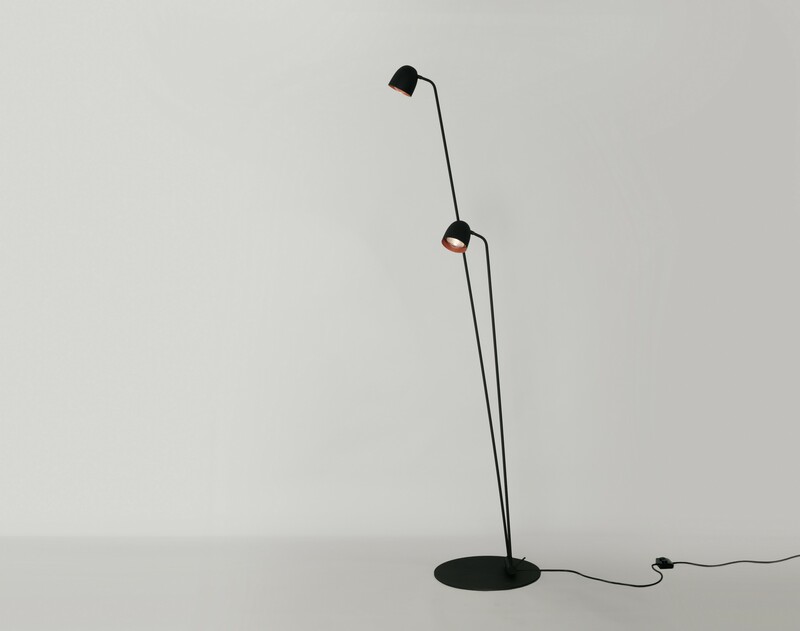 They all share the same 11-centimetre diameter mini-shade and LED technology, since they feature a high output LED that includes a glass lens to focus the light and magnify the light output. The wall version of the Speers is available in two formats. 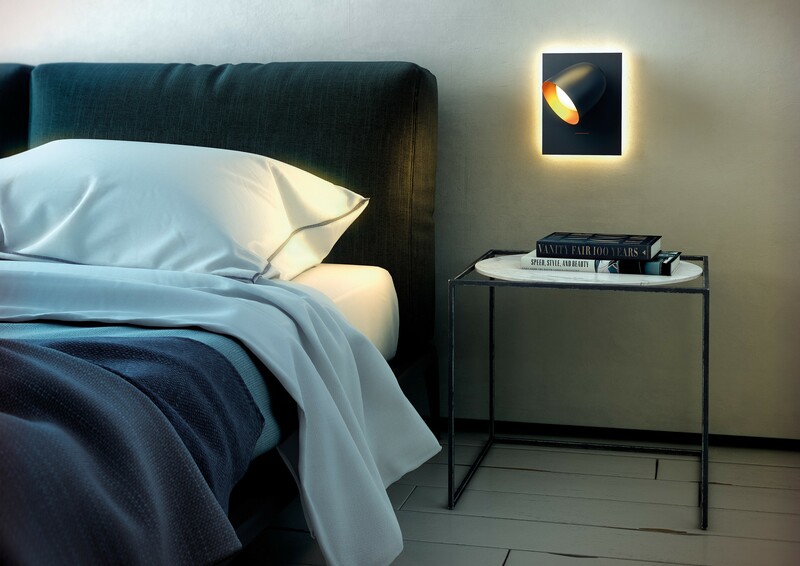 Speers W1L is made with a single source of direct light, while Speers W2L is a dual-switch wall lamp with an indirect ambient light (touch-dim) and an adjustable direct light for reading (touch on/off). The floor version, which also has a dual switch, consists of a dual stand at different heights, and two heads, both adjustable. 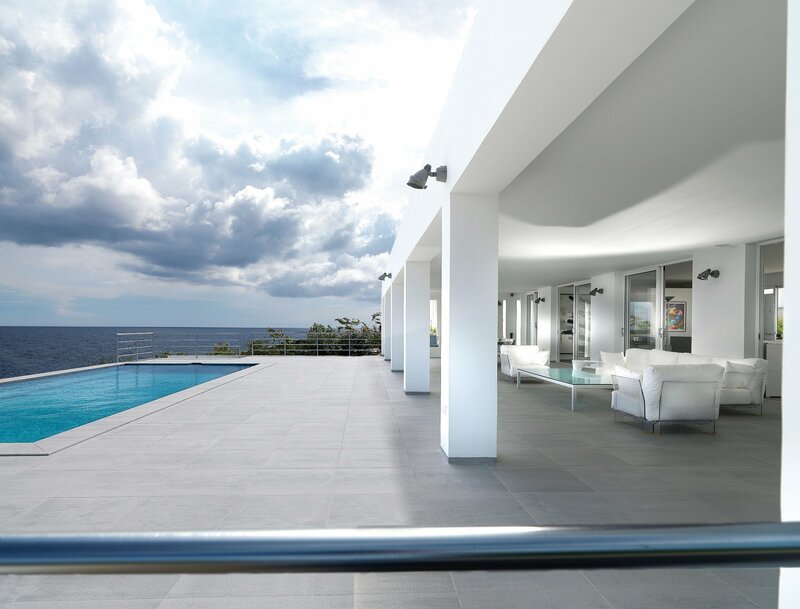 These new wall and floor versions of the Speers collection are available in two finishes: matte white with the inside of the shade in brass, and matte black with the inside of the shade in copper. 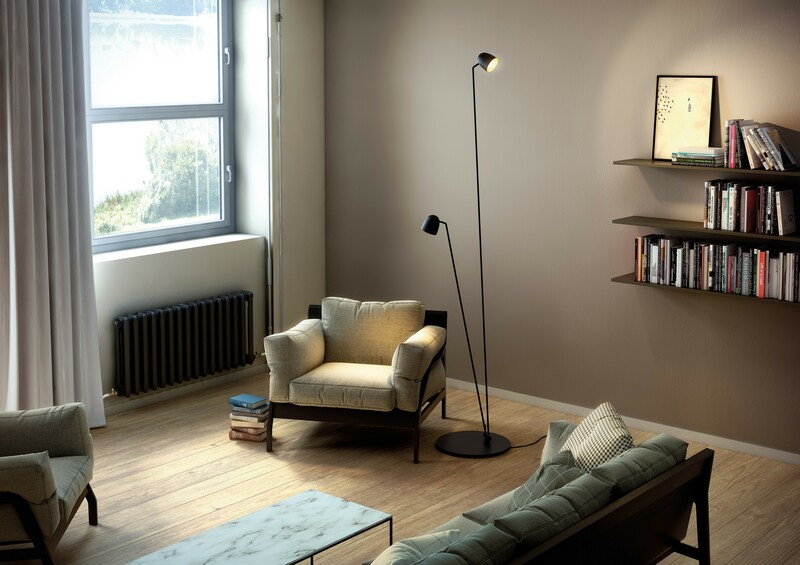 Rounding out the Speers decorative lamps is the suspension lamp, on the market since 2015, which can be installed as a single surface or recessed lamp. 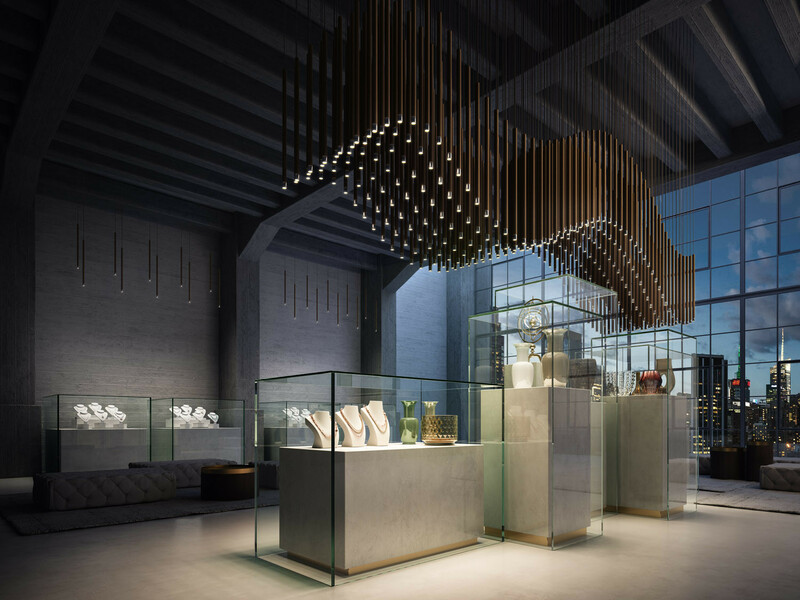 Speers is also marketed as a set of suspension lamps consisting of two, three, four or six suspended elements whose cables, thanks to wall and ceiling mounts, can be moved to draw different figures and take the points of light wherever they are needed. 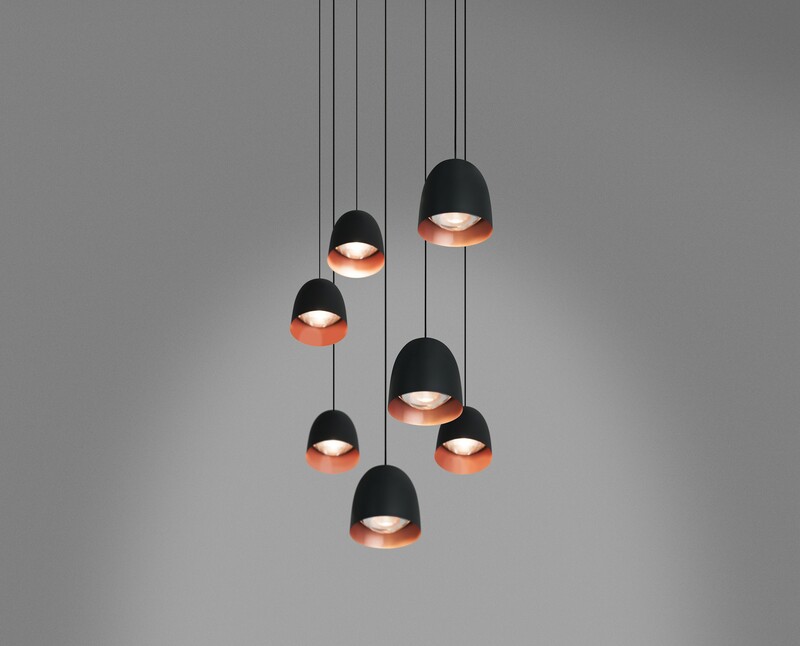 All of the suspended versions are available in a wide range of finishes. The Speers lamp stands out for its appealing materials, since it employs fine metals like copper and brass in its construction. 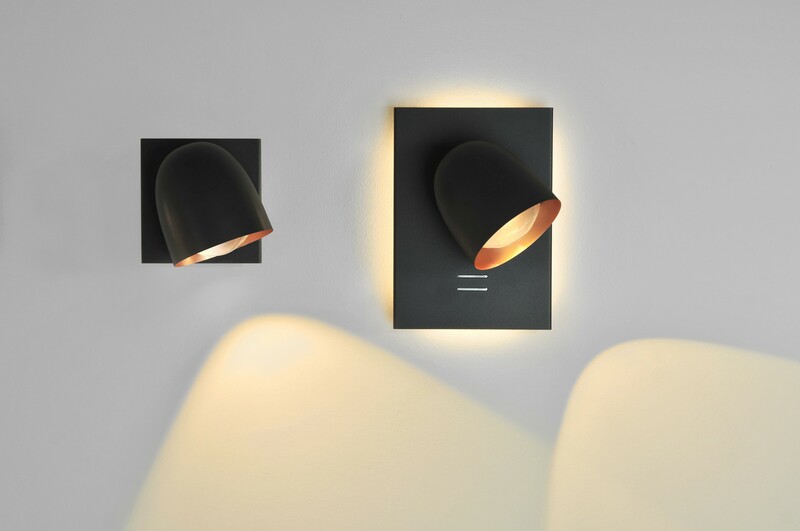 The Speers collection of lamps is designed by David Abad for B.lux, a manufacturer of contemporary designer lamps since 1980.